You can also make a bin directly from a mpg file now with VCDImagerGUI. Launch CDRWIN and hit Exctract Disc/Track/sectors. 2. Select the CD where the VCD is (you have to have burned the movie as a VCD before making a bin/cue). 3. Select where to save the bin and cue files. 5. Hit START. 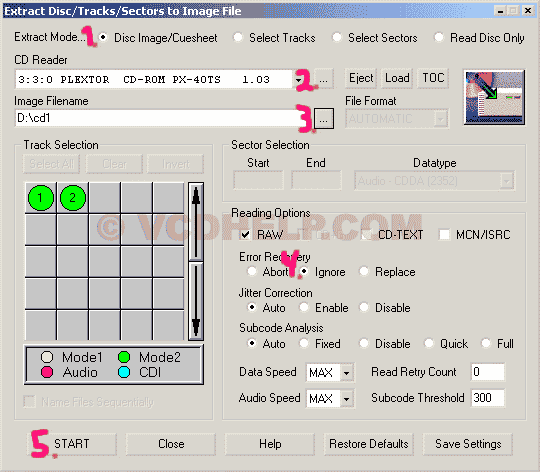 You will get 3 errors but ignore them the VCD will work.